﻿ De Reis Construction is a premier one-stop remodeling and construction company in Northern California, serving the Bay Area and surrounding areas. ABOUT US ~ When you’re building a new home or improving the home you’re in, you want to partner with a company you can trust. At De Reis Construction, we consider it an honor to build and remodel a family’s home, and our commitment to quality is second to none. We’ve been serving the East Bay areas for more than two decades. As a family owned business, we depend on referrals from our satisfied customers to make our business successful. That’s why your satisfaction is our top priority. From the moment we meet you to the very last inspection of your project, our process is built around listening to your needs and making your design dreams come true. Steve De Reis, owner, has built more than 60 custom homes from the ground up. 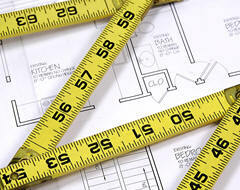 From new custom homes to a single room makeover, no project is too big or too small. Our extensive list of services ranges from new construction to flooring to fencing. Whatever you need to make your home more beautiful, more comfortable, and more livable, we can make it happen. A family man himself, Steve understands the importance of making a house a home. With an A+ rating with the Better Business Bureau, Steve and his team at De Reis Construction operate with honesty and integrity always working toward the final goal of exceeding your expectations on time and on budget. 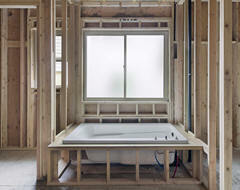 All our work is guaranteed and our team members are fully insured. Contact us today for your free estimate!